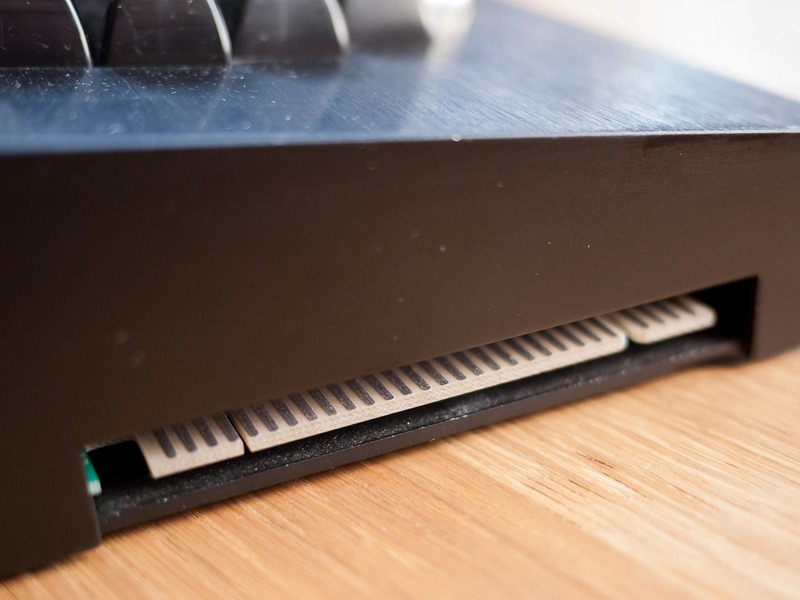 Another string in the bow of the MTX 512’s beautifully designed case is the ease of access it offers to the machine’s internals. Three screws hold the endplates of the case in place, remove these and the top swings up rather like a car bonnet. 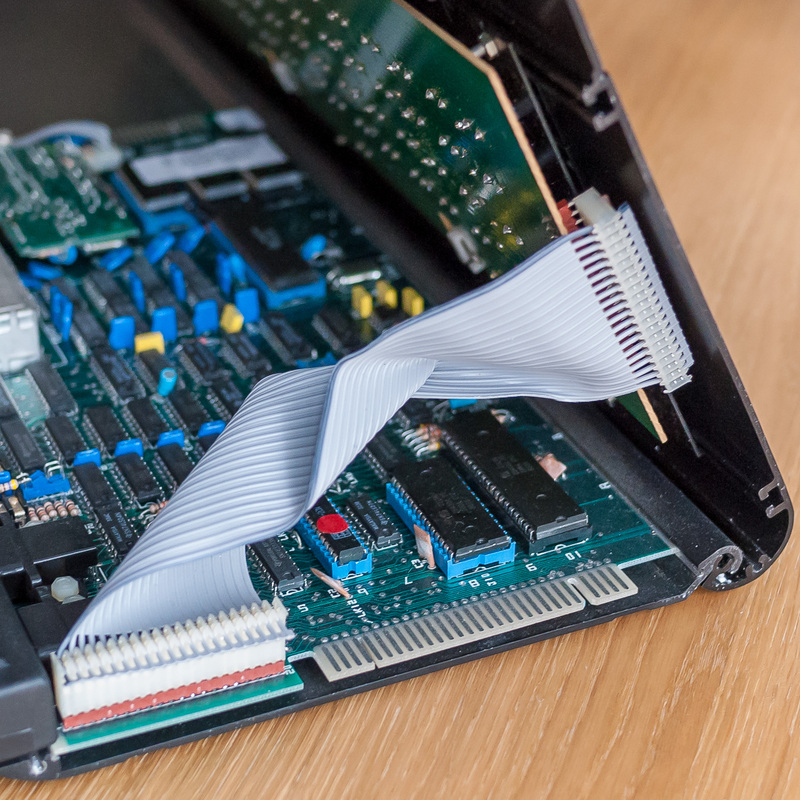 Disconnect the keyboard cable and remove one further screw on the bottom of the case and the mainboard slides out with ease. On opening my non-functioning 512 I was presented with a bit of a horror story, clearly someone none too skilled with a soldering iron had made several attempts at repair in a number of areas. Still, it would be rather churlish of me to complain too much given my own inexperience with soldering. The first thing you tend to notice when you open up the machine is the prominent electrolytic capacitors on the right of the board. Unlike most machines of the era, the external power supply for the MTX is a simple transformer, voltage regulation is taken carry of in the machine itself. 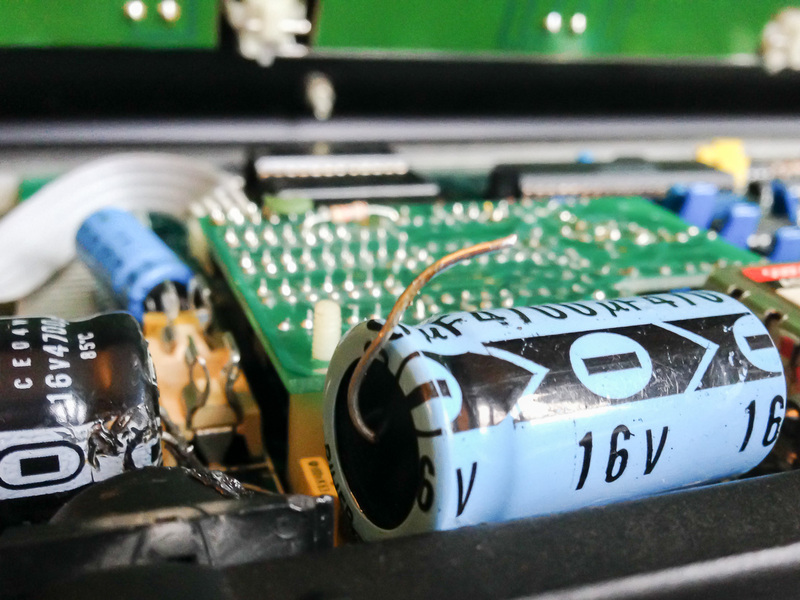 On close inspection I noticed the fast blow fuse on the board was blown, of the two large electrolytic capacitors, one radial and one axial, the latter was actually disconnected from the board at one end. There was a fair amount of evidence of poor soldering including some melting to the rear case plastics.  New to the Memotech I enquired at the Memorum forum as to what the best course of action would be. Everyone there was very helpful and Mark gave me a detailed run down of how to put a meter on the voltage regulators and check for the correct readings. I ordered a couple of suitable new capacitors and replaced the originals. This was relatively straightforward and given my lack of soldering skills completed with much relief without causing any further damage. On reassembly the machine is still not putting out any video via the composite connection. There appears to be something coming from the RF output as I can almost tune in to it without quite locking on to the signal, something I can do with the same television and my other working machine. To be fair however even the soldering on the connections to the video outputs looks suspect so the next task is to unplug the backplate and try the known working one in its place. During the home computing boom of the early eighties a number of innovative British companies were entering the burgeoning market with an eclectic mix of machines and hardware. Whilst the Sinclair Spectrum and Commodore 64 battled it out for top honours, other less popular but often no less and in some cases more capable machines were finding their way into the bedrooms of the nation’s (mostly male) youth. Orics, Electrons, BBCs, Dragons, Newbrains and Jupiter Aces to name a few, were to leave the consumer with a bewildering choice of hardware and go on to engender tribal loyalty upon purchase. 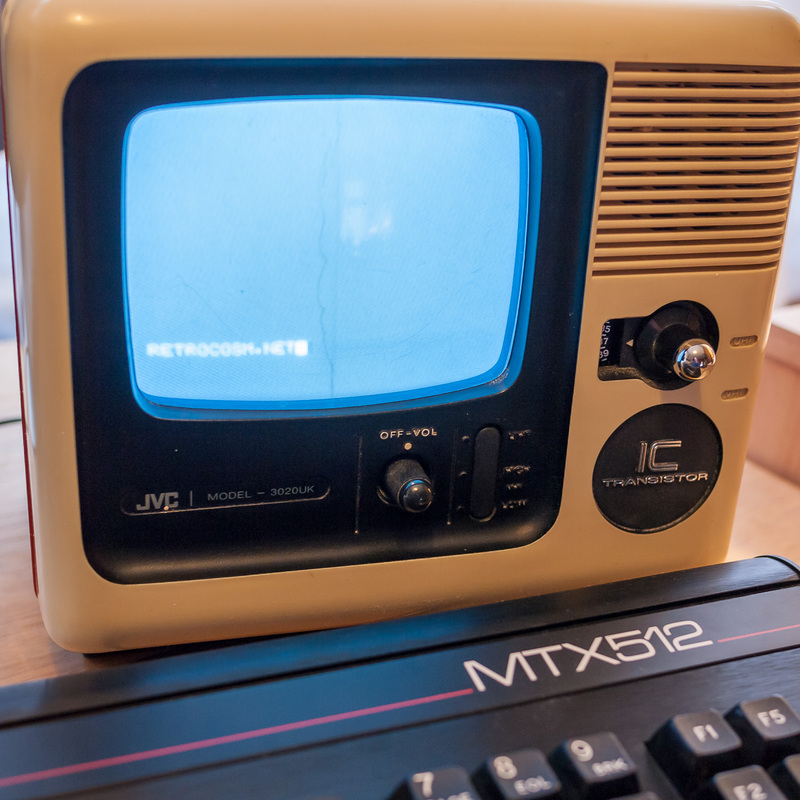 With their sleek, seductive styling the Memotech MTX range of machines were, along with the Atari 800XL, arguably the most aesthetically pleasing computers of the era. In an act of unwitting prescience the designers eschewed the typical beige plastics so popular at the time for an altogether more substantial anodised aluminium case. Thus unlike many of their contemporaries which have over the years succumbed to awful yellowing from leached flame retardant in their plastics, MTX machines emerge from owner’s lofts looking much the same as they did the day they were packed away 20-30 years earlier. It is perhaps no surprise that a metal case was favoured given that one of the co-founders of Memotech, Robert Branton was a metallurgist. 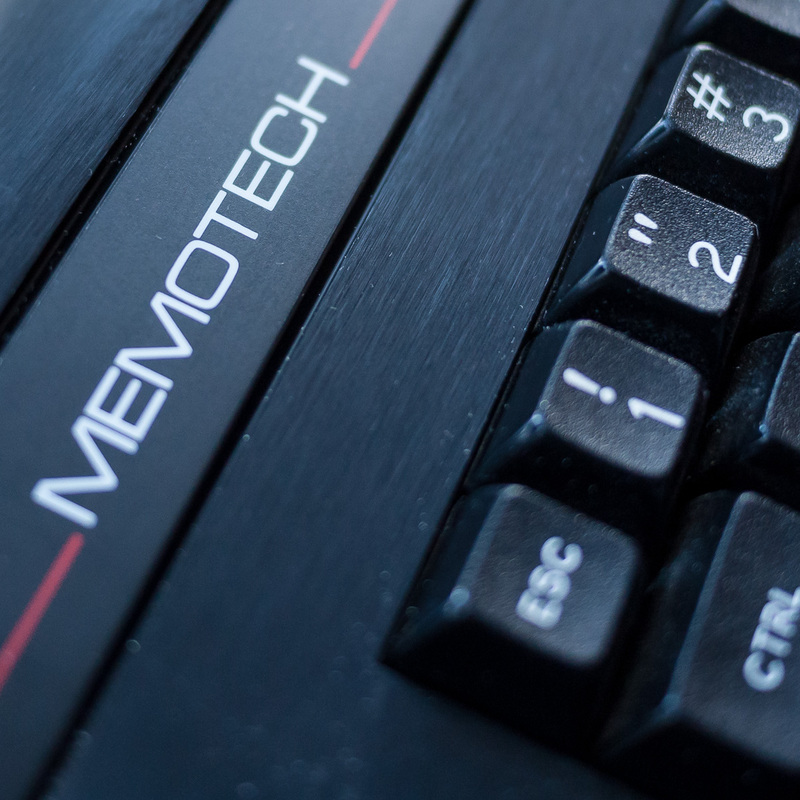 Branton, along with Geoff Boyd formed Memotech in Oxford in 1981 and originally rode the wave of the home computing boom by producing peripherals for the Sinclair ZX81. 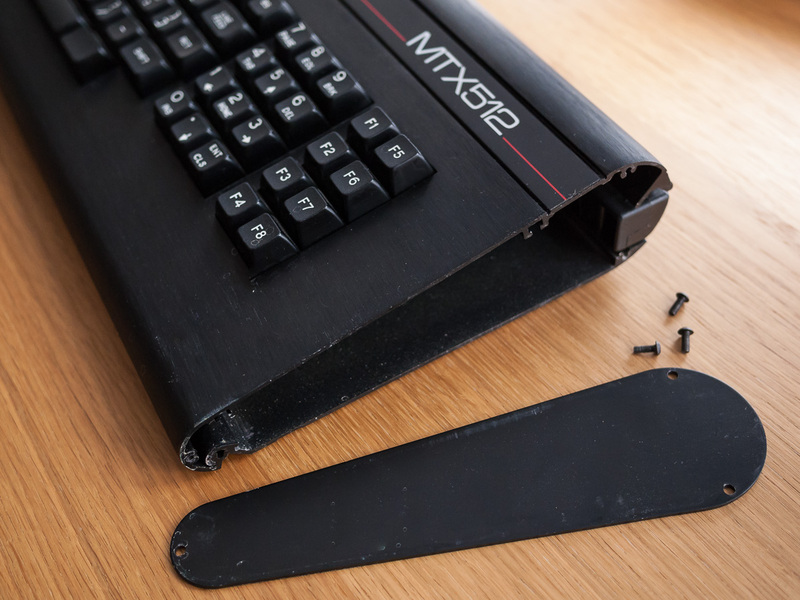 However with the arrival of the Zx81’s successor, the Sinclair Spectrum they shifted gears and went on to design and produce their own computers, including the MTX range of machines. 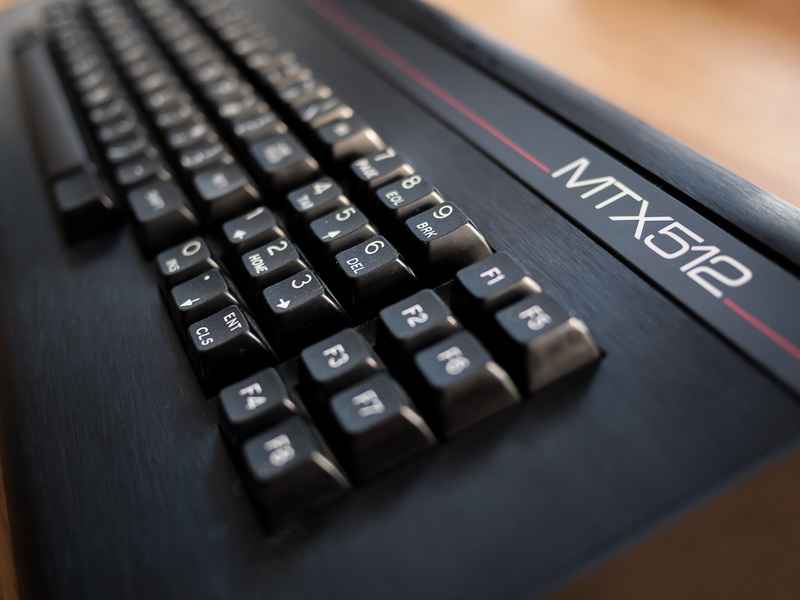 Built around the ubiquitous Zilog Z80, specifically the Z80A running at 4 MHz, there were two initial MTX labelled machines, the 500 and 512 with 32k and 64k of RAM respectively (the 512 is expandable to 512k RAM, hence the name.) Pitched at the higher end of the market and with similar abilities to Acorn’s BBC models the MTX machines featured in an impressive 32k of ROM some interesting additions to the industry standard BASIC such as a built-in assembler/disassember, debugger and Noddy, a method of programming the computer similar in many respects to Hypercard. No problems with the FCC thanks to the metal case. Graphics were provided by the T.I. TMS9918A with 16k of video RAM and capable of 16 colours at 256 x 192 resolution. There was support for 32 user definable sprites. Sound was four channel courtesy of another Texas Instruments chip. Plug in ROM cartridges were also available as was the reassuringly large and expensive FDX unit which added floppy and or fixed disks and support for CP/M. Without the latter programs were loaded and saved to tape via standard mic/ear sockets. 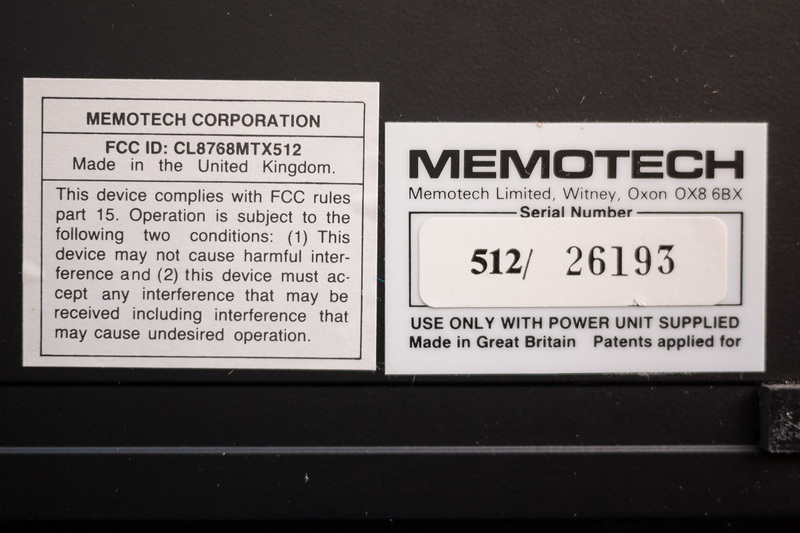 RS232 communications were available via a plug-in card but were not fitted as standard. On release the 500 retailed for around £275 whilst the 512 typically sold for £315. From my own perspective I currently own two Memotech MTX 512s. One is in fully working condition, the other is currently dead. For this year’s Retrochallenge my intention is to familiarise myself with the machines, see if there is any prospect of resuscitating the dead unit and hopefully play some games and take a closer look at Noddy. A superb Memotech article on The Register. Dave’s excellent Memotech MTX resource. Entry for the Retrochallenge 2014 Winter Warmup in now open. Why not head over the to the retrochallenge website and register to participate. Whatever you have in mind, a grand design or simply tinkering with vintage gear, you can decide your own challenge and dictate your own pace. It’s always great fun and there are no slapped wrists for unfinished projects.